The Spanish town of Narón last year launched a pioneering healthy lifestyle initiative to help its nearly 40,000 residents shed a collective 100,000 kilos over a two-year period. So far, it’s working, as the Galician town has lost over 46,000 kilos over the past year. 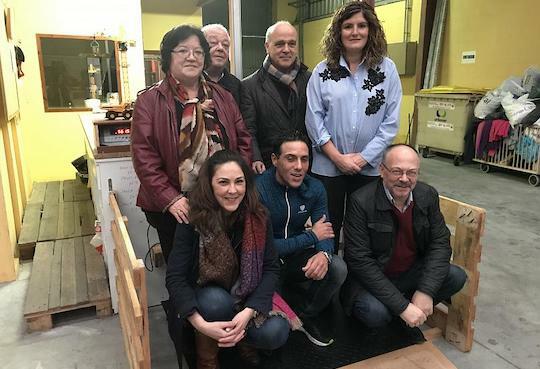 The health authorities Narón, in the northwest of Spain, decided in 2018 that its residents could share a common goal of shedding 100,000 kilos through healthy eating, exercise and medical monitoring. Carlos Piñeiro, the doctor responsible for the project, told Euronews that the participants have met half of the objectives and are now looking to expand the number of participants beyond the 7,200 officially registered. Restaurants have been doing their bit to help by offering lighter menus, while schools have been teaching children how to educate their families about healthy habits.